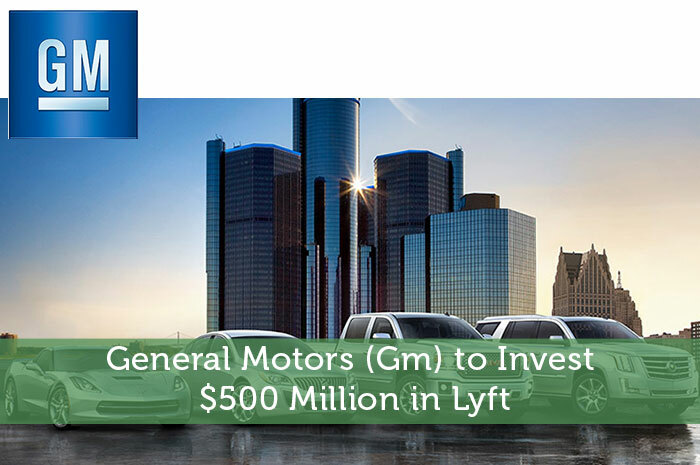 General Motors and Lyft, which is one of the world largest peer-to-peer ridesharing companies, are teaming up to develop driverless cars. Lyft is kind of like Uber, but only in about 65 U.S. cities. The driverless vehicles they plan to develop are still years away from being street ready. But in the meantime, John Zimmer, president of Lyft, said this is a unique opportunity to bring more drivers onto Lyft’s platform. “It’s the only time a transportation network company, or ride-sharing company, has partnered with a leading auto manufacturer,” says Zimmer. This news follows the current trend in the automotive industry for more automation and user accessibility. If taxi drivers are not happy about the disruption that Uber has brought to their industry then they should prepare themselves for what’s coming down the pipeline for transportation innovation. According to General Motors, in about 10 years from now it plans to complete its fleet of self driving cars. The idea is if you want to go somewhere you can just rent one of its selfdriving cars. It will come pick you up at your location and drop you off wherever you want to go like a personal chauffeur. This could basically commoditize the vehicle industry and make it much cheaper and easier to get around for many people. GM and Volkswagen are planning to give keynote addresses at this year’s Consumer Electronics Show, or CES in Los Vegas this week. Tens of thousands of attendants are expected to show up for this annual convention of consumer technology. Other than driverless cars, the other interesting aspect of this year’s CES has to do with home automation and online integration. It isn’t expected for there to be anything revolutionary at the trade show this year. But there seems to be an evolution of technology that is centered around the home and connectivity. We have enough power inside many modern electronic devices for them to perform more than their basic tasks. Back in the old days it used to be that the coffee maker was just a coffee maker. A stove was just a stove. And a television was just part of the entertainment system. But now all of those things are more smart and complex. They can all be interconnected together. And mobile devices like smart phones and tablets are at the center of everything to be able to talk to all the other peripheral devices. It’s all about making it easier for people to move around in improve their standards of livings. The Amazon echo service, for example, allows you to give it a command and it goes and buy what you want. In the future we could very likely see highly automated homes with artificial intelligence. You could be in your house and the automated system could say, “there’s someone at the door.” and you can ask, “who is it?” The computer will then perform a facial recognition on the visitor and try to find a match using the pictures of your friends on Facebook. The whole purpose of giving commands to be carried out by computers is to make everything seamless and easy so that people can go about their day doing what they want to do and let the system take care of the heavy lifting. The “internet of things” as they call it, is the next big market for entrepreneurs to explore. From wearables like the smart watch to drones that deliver parcels, companies will have to learn to adapt to the new world of technology quickly or they will be left behind. Not sure if this will pan out as an investment or they’ll end up writing it off. I think it’s probably likely that it gets written off, but if it pans out, it will likely pay off big. So I guess it comes to the risk-reward ratio.